Surprising Foods You Can Keep When You Diet! Many foods get put on the ‘diet don’t’ list for no good reason. Here are some foods that you can put back on your plate — in moderation of course — even if you are aiming to slim down. It’s a fact: reducing calories, not carbohydrates, helps you lose weight. Most studies show there are no significant differences in weight loss over the long term between low-carbohydrate diets and those considered “high” carbohydrate when dieters cut calories to similar levels. 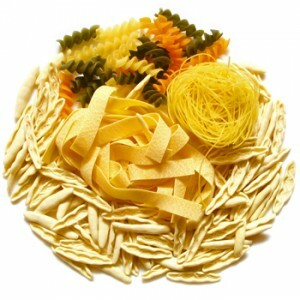 Plus pasta is a perfect foundation for healthy, nutritious and satisfying meals — especially when paired with fiber-filled vegetables and beans, heart healthy fish and oils, or protein-packed poultry and lean meats. For a perfect portion-controlled meal, serve 1 1/2 cup cooked pasta with 1 cup veggies and 4-6 oz fish or poultry. 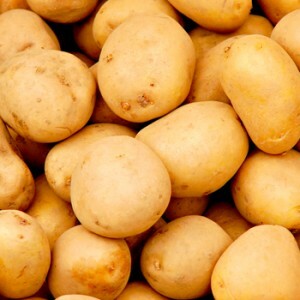 Recent research found that you can lose weight without losing potatoes! Scientists measured the effects of a reduced-calorie diet with the addition of potatoes over a 12-week period. Study participants were randomly assigned to three groups and each had a diet that included five to seven servings of potatoes per week. All three groups lost weight. This is great news for potato lovers! And remember, potatoes are not only tasty and satisfying, they’re also rich in potassium and vitamin C. A medium-sized potato has just 110 calories. Load yours up with veggies and top with a little Parmesan for an easy “anytime” meal. For the record, losing weight does not mean a life without fruit! Many fad diets (which are not based in solid science) love to put fruit on their weight loss ‘don’t’ lists. But if you skip fruit, you’re missing out on some of nature’s best nutrient-rich gems and not doing your waistline any favors! Don’t believe me? Recent research published in the journal Obesity Reviews looked at 16 different studies and found overwhelmingly that eating fruit is associated with weighing less. While fruit does contain the natural sugars, it doesn’t raise the body’s blood sugar levels like table sugar does; plus it’s high in water and filling fiber, and low in calories. 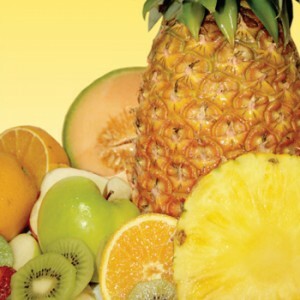 Aim to have 3 servings of fresh fruit daily. 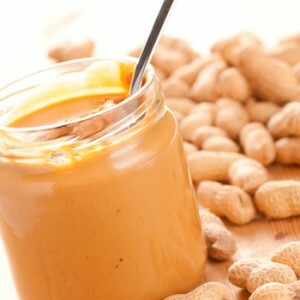 True, peanut butter is high in calories, but in moderation, it can actually help you control hunger and manage weight. In fact, women who eat one serving of nuts or peanut butter two or more times per week are nearly 25% less likely to be obese and gain fewer pounds than women who rarely eat them, according to recent research from the Harvard School of Public Health. One possible reason: A snack that includes peanut butter helps you stay full for up to 2 1/2 hours, compared with a 1/2 hour for a carb-only snack like a rice cake, finds research from Purdue University (carbs satiate you immediately, while nuts sustain the fullness). To keep calories sensible, stick to a 2-tablespoon portion—about the size of a golf ball. Okay… eat this one with caution (read: in moderation). Having an occasional small serving of a favorite treat is better than depriving yourself completely—which may lead to a binge. Sure there are some folks who can go “cold turkey”, but this is the exception rather than the rule. According to one study, chocolate is the most commonly and “intensely” craved food by women. In fact, people who tried to not think about chocolate ate 2/3 more of it than people who were told to talk about it freely, according British research. That’s good to know, except for the peanut butter, not a huge fan. Thanks! Thanks for debunking these, guys! There is a lot of misinformation out there. So many things people think are bad for you are actually good or better than the things they’re using to replace them (lard, olive oil, butter, avocado, eggs, etc.). I always enjoy your articles. eat pure peanut butter that doesn’t have additives to replace the good nut oils and nutrients that are striped from highly processed brands. 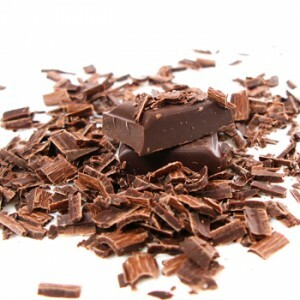 when picking chocolate eat no more than 1 or 2 oz a day of pure dark chocolate 60% or higher. they have less added sugar and more healthful antioxidants and nutrients. All of my favorites….happy to hear I can keep them while dieting! Hi.!! really gr8. I am struggling to loose weight. Your article is rally helpful for me because after reading your post, I understand that I can also have some tasty foods.